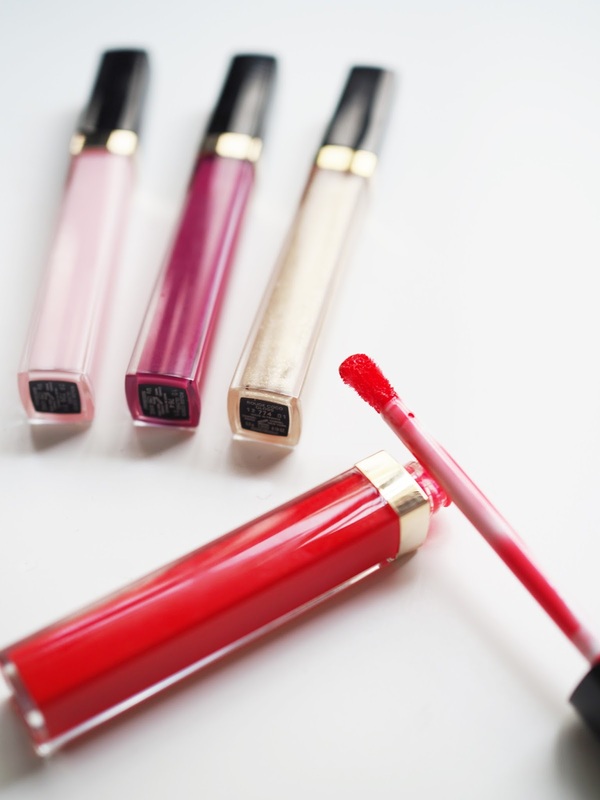 As you may know, I'm not a huge fan of lip glosses (sorry, started off with a negative there). My lips are naturally plump and instead of making them bigger like most people, I actually try to make them smaller. 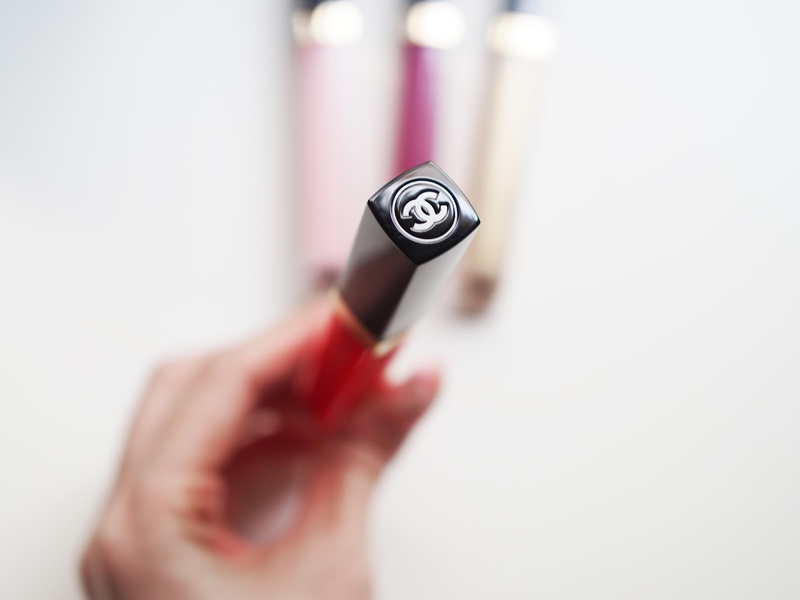 However, how could I not try the new Rouge Coco Glosses from Chanel? 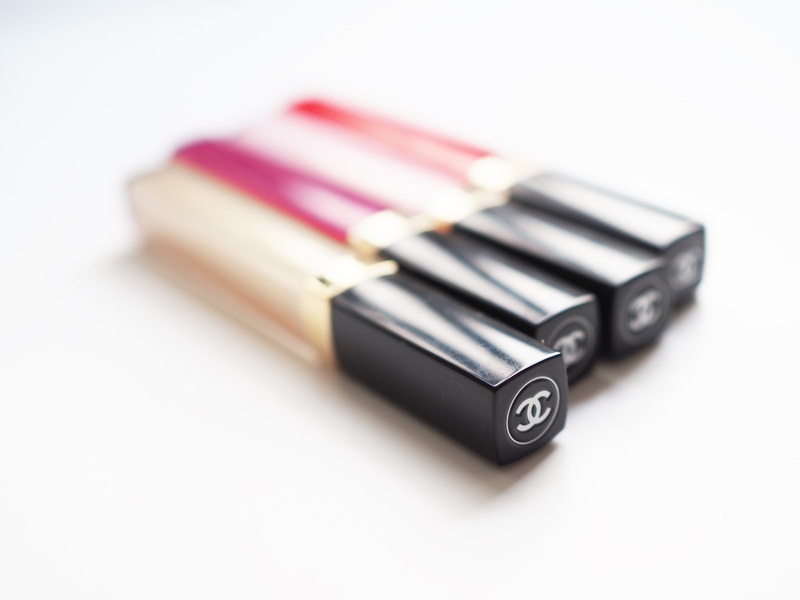 I mean, how can anyone resist anything Chanel? Introducing the non-sticky, ultra-light formula enriched with Coconut Oil, Peptides and Vitamin E, along with an exclusive Hydraboost Complex, to offer hours of comfort and moisture. Lips are visibly smoothed, plumped and perfectly brilliant. In 24 indulgent shades, from fresh pinks to tangy reds, to collect, layer and love. 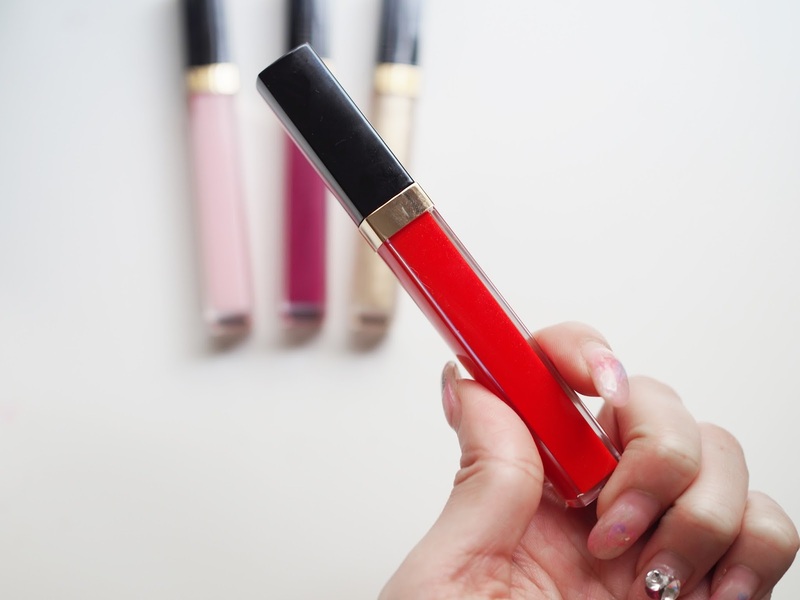 I would say it is just less sticky than most lip gloss formulas, when the wind is in my face my hair does stick to my lips (that does not make it non-sticky). However, I do love the light and nourishing formula. Although the pigmentation is not very vivid and doesn't last long at all, I do love how it minimizes my lip lines and keeps my lips smooth and hydrated all day - it's something I love layering above more drying lipsticks. My favorite shade to wear is #764 as it looks super natural and great on those lazy no-makeup makeup days. 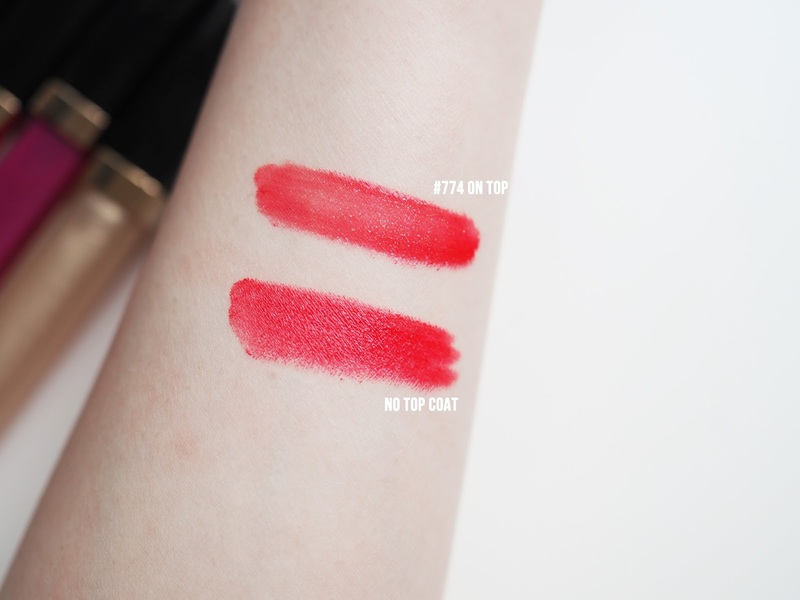 #762 is a brilliant red and is the most pigmented one I have, however, applying on its own it looks rather uneven so I would definitely recommend layering something more opaque underneath. 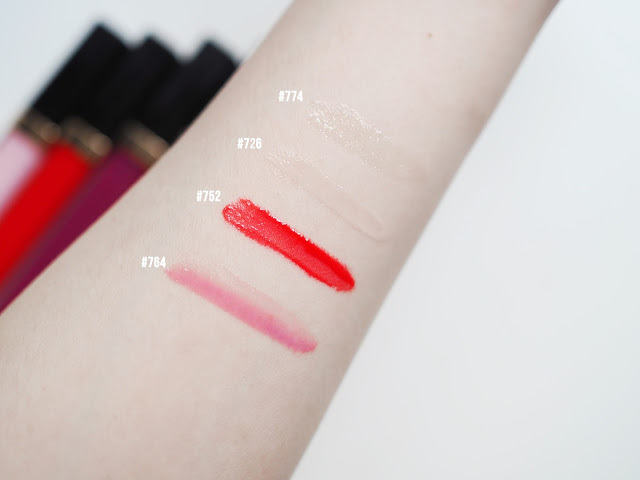 #726 is basically just a transparent top coat to go over any lip color, and #774 will add a subtle tint of gold glitter to whatever you have on. Personally, I just love it for collecting and probably don't see myself using it often. All-in-all, I do enjoy using them especially when my lips are dry and when I need a bit of a top-up of hydration! 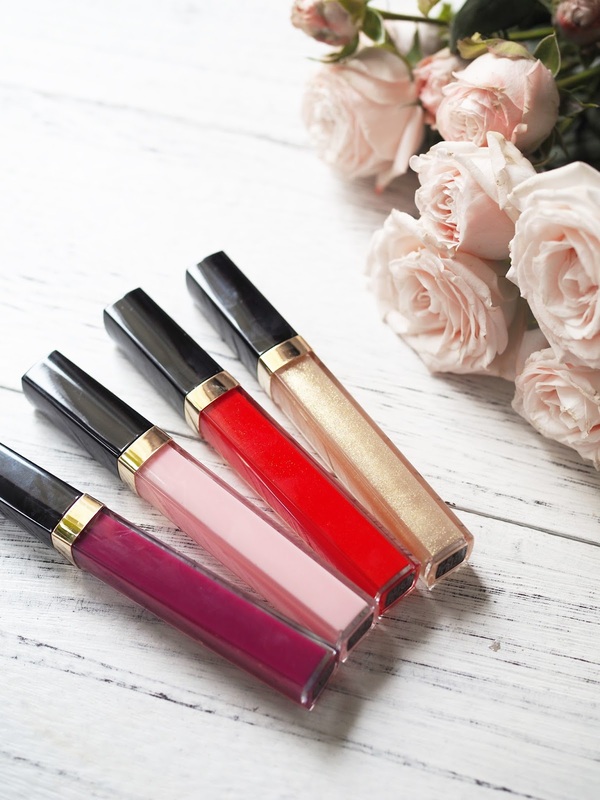 Have you guys tried these glosses and what do you think of them? 726號色基本上是透明的，像top coat一樣，而774號色帶金色閃粉 單塗它一樣是沒有顏色的。是用來layer在其他純色上，就會看到好低調的金色閃粉 （我覺得包裝太美了，都是會用來收藏的！） 大家有沒有試過？齊齊分享用後感吧!